Iran and six world powers failed to reach agreement today on a common approach to reducing fears that Tehran might misuse its nuclear technology to make weapons, with the EU’s foreign policy chief declaring that the two sides “remain far apart on substance”. Expectations that the negotiations were making progress rose as an afternoon session was extended into the evening. But comments by Baroness Catherine Ashton, the European Union’s head of foreign policy, made clear that the two sides failed to make enough headway to qualify the meeting as a success. 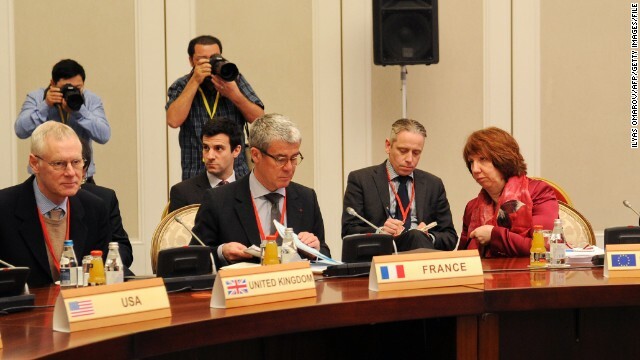 “What matters in the end is substance, and … we are still a considerable distance apart,” Baroness Ashton told reporters in Almaty, Kazakhstan, at the end of the two-day talks. She said negotiators would now consult with their capitals and made no mention of plans for a new meeting – another sign that the gap dividing the two sides remains substantial. The six insist Iran cut back on its highest grade uranium enrichment production and stockpile, fearing Tehran will divert it from making nuclear fuel to form the material used in the core of nuclear warhead. They say Iran must make that move, and make it first, to build confidence that its nuclear programme is peaceful. 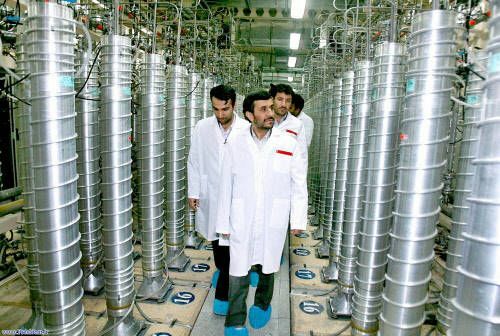 They were asking Tehran to greatly limit its production and stockpiling of uranium enriched to 20%, which is just a technical step away from weapons-grade uranium. That would keep Iran’s supply below the amount needed for further processing into a weapon. But Iran wants greater rewards for any concessions that the six are ready to give. They have offered to lift sanctions on Iran’s gold transactions and petrochemical trade. But Tehran wants much more substantial sanctions relief. It is also seeking an end to international penalties crippling its oil trade and financial transactions. The talks already seemed to run into trouble shortly after they began yesterday with a Western diplomat saying Iran’s response to the offer from the group fell short of what the six wanted and instead amounted to a “reworking” of proposals it made last year at negotiations that broke up in disagreement. VIENNA: Technicians upgrading Iran’s main uranium enrichment facility have tripled their installations of high-tech machines that could be used in a nuclear weapons program to more than 600 in the last three months, diplomats said Wednesday. They say the machines are not yet producing enriched uranium and some may be only partially installed. Still the move is the latest sign that 10 years of diplomatic efforts have failed to persuade Tehran to curb its uranium enrichment. Instead, Iran continues to increase its capacities.